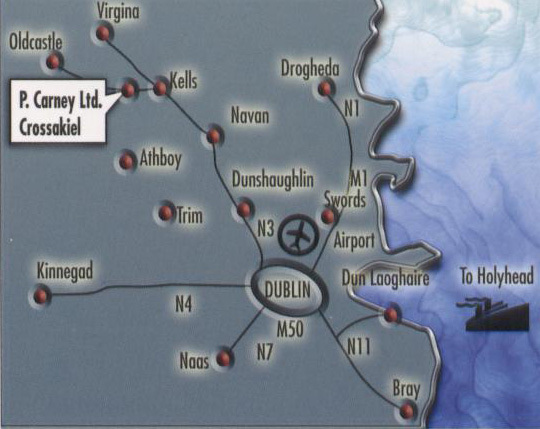 Situated about 80 kilometers and one hours drive from Dublin, P. Carney Ltd. is strategically located with excellent access to both Dublin Airport and Ferry Port. P. Carney Ltd. can deliver to any U.K. destination within 2 working days and to mainland Europe in 4 working days. 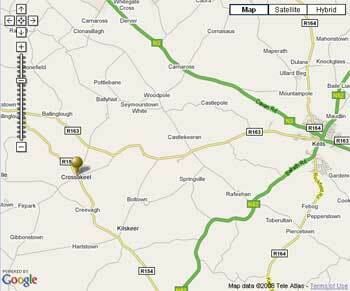 Click on Map to launch a Google Map which shows exact loacation and road details.